I've decided to include it here in it's entirety such is its importance. It's long, but do take your time to read it ALL. There is one topic that stands like the proverbial elephant in our collective living room, and it's still unacknowledged, ignored or misunderstood by many people. It's the underlying issue for our society and the world's problems. 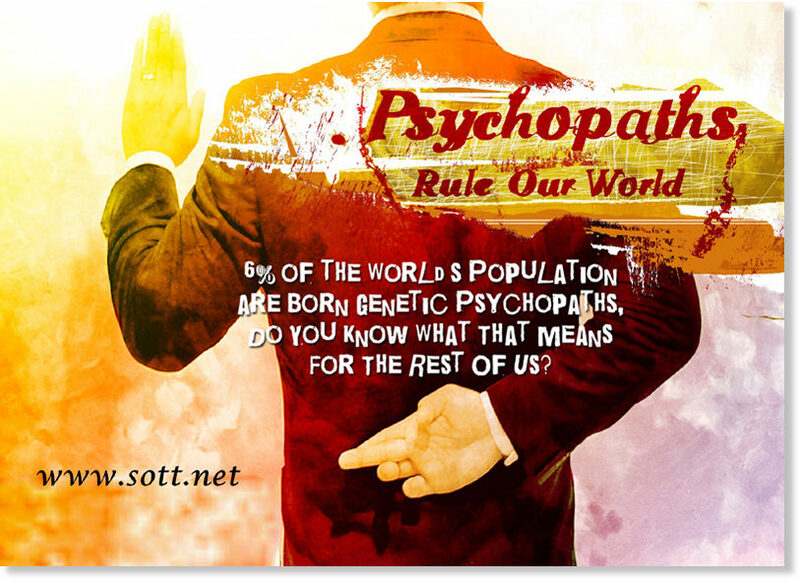 This is the topic of Psychopathy, especially Psychopaths in positions of power, and how it affects our world and society at large. More and more research and studies have been published that prove the existence of this 'intra-species predator', yet it's still being avoided and not sincerely studied and looked at by the many well-meaning people who work actively at trying to make this world a better place. They focus on the symptoms, but not the underlying causes. In her talk, Williamson made some good points, in particular about the necessity to do conscious work within and without, not shutting off from the world but actively engaging in creating change and facing our world's problems head on. Much of what she said reflected what she talked about at "Lightning in a Bottle" in 2011, mentioned above. However, since she's officially running for Congress, her tone has changed a bit and she seemed to have taken on some of the typical political lingo in an effort to win support for her campaign. Anyone who still believes that we live in a democracy, in the true sense of its meaning, lives in a bubble of denial and wishful thinking. Williamson appears to agree with this since she stressed that our democracy is at risk. However, there is a lot of wishful thinking about trying to do this through the system itself. For example, assuming that the majority of people could ever have an influence on law-making and presidential elections given the way our society and institutions are controlled, in particular the press and education. It's just too easy to manipulate people's choices and opinions. It's an example of Stockholm Syndrome writ large. In fact, "democracy" is the perfect tool or "cover" to control people, giving them the illusion of free choice on a base level (like voting for your congressional representative) but it's 'grid-lock' at higher levels of power, a two-party state system where decisions have already been made before any voter gets to 'vote' on them. Ironically, Williamson also acknowledged that we need to get away from this two-party system, but she did not address any topics that are actually at the root of this set-up. "I think the system contracts and expands as it wants to. It accommodates these changes. I think the civil rights movement was an accommodation on the part of those who own the country. I think they see where their self-interest lies. They see a certain amount of freedom seems good, an illusion of liberty. Give these people a voting day every year so that they'll have the illusion of meaningless choice... meaningless choice that we go like slaves and say, "Yeah, I voted." The limits of debate in this country are established before the debate even begins and everyone else is marginalized and made to seem either to be communists or some sort of disloyal person, a "kook"- there's a word- and now it's "conspiracy", see? They've made that something that should not even be entertained for a minute; that powerful people might get together and have a plan. Doesn't happen, you're a kook, you're a conspiracy buff!" Some well-meaning people who go into politics raise some good points but still avoid issues that need to be addressed if we truly want change. Such is the dire state of open and honest social discourse in the US that, even meager attempts at honesty get shut down eventually and ignored. Ron Paul and Dennis Kucinich come to mind. No change is going to happen through the system because if you don't play by the rules and act "politically correct", you don't even get to play and the only way to "win" is to align with a world view that is pathological at its core for the simple reason that the world is run by psychopaths. Williamson mentioned that we have an oligarchy, true, but it there is more to it than that. The fact is, we live in a Pathocracy. Definition: A system of government created by a small pathological minority that takes control over a society of normal people. A totalitarian form of government in which absolute political power is held by a psychopathic elite, and their effect on the people is such that the entire society is ruled and motivated by purely pathological values. A pathocracy can take many forms and can insinuate itself covertly into any seemingly just system or ideology. As such it can masquerade under the guise of a democracy or theocracy as well as more openly oppressive regimes. I knew that asking this question would raise some eyebrows but I did not expect the whole audience to break into spontaneous laughter at the mere mention of psychopaths in power. Notice also Williamson's dismissive body language after I used that term: she smirked, looked at floor and fed the audience's amusement about a topic that no one there had any understanding of. So why the laughter? Well, maybe people who are uncomfortable with a certain topic react with laughter to defuse the tension. But my impression was that they were laughing because they truly found it funny, as if it's a ridiculous thing to even assume that people in power could be psychopaths. Lambs to the slaughter. It was interesting to experience for sure. Considering that the audience was basically filled with Marianne Williamson fans because of her work as a spiritual teacher, one would imagine that these people would be more aware and conscious of such topics. But that is another issue altogether. I noticed that many of her supporters tend to automatically agree with anything she says, put her on a pedestal and dare not question anything she says, simply because she IS Marianne Williamson, the cherished well-known spiritual teacher and author who has been on Oprah no less! She says that "any person or system who doesn't exercise from a place of remorse or with conscience is a sociopath. We have a so-called sociopathic economic system where conscience and remorse don't play any part but short-term economic gain." Right away she uses the term sociopath and puts the focus on the system. But that's not what I was talking about. There is a difference between a sociopath and a psychopath. What most people think of as sociopaths are actually psychopaths. Yes, "conscience and remorse don't play any part" in our system but it's interesting to see how some people shy away from the term Psychopath or even laugh about it. Why is that? It seems related to the cultural conditioned view that psychopaths are the insane serial killers we see in the movies or prisons, but would never appear in a suit and tie with the picture-perfect wife and family, speaking eloquently with confidence and inspiration, having power over a whole nation. Think again. "Too many people hold the idea that psychopaths are essentially killers or convicts. The general public hasn't been educated to see beyond the social stereotypes to understand that psychopaths can be entrepreneurs, politicians, CEOs and other successful individuals who may never see the inside of a prison....Psychopaths have what it takes to defraud and bilk others: They are fast-talking, charming, self-assured, at ease in social situations, cool under pressure, unfazed by the possibility of being found out, and totally ruthless. The psychopath can actually put themselves inside your skin intellectually, not emotionally. They can tell what you're thinking, in a sense, they can look at your body language, they listen to what you're saying, but what they don't really do is feel what you feel. What this allows them to do is to use the words to manipulate and con and interact with you, without the baggage of this 'I really feel your pain' "
In many cases the choice of term reflects the user's views on the origins and determinants of the clinical syndrome or disorder described in this book. Thus, some clinicians and researchers - as well as most sociologists and criminologists - who believe that the syndrome is forged entirely by social forces and early experiences prefer the term sociopath, whereas those - including this writer - who feel that psychological, biological, and genetic factors also contribute to development of the syndrome generally use the term psychopath. The same individual therefore could be diagnosed as a sociopath by one expert and as a psychopath by another." "Many people are confused about the differences among psychopathy, sociopathy, and antisocial personality disorder. Although the terms frequently are treated as if they are interchangeable - by the general public and professionals alike - they refer to related but not identical conditions. Antisocial personality disorder (APD) is a broad diagnostic category found in the American Psychiatric Association's Diagnostic and Statistical Manual of Mental Disorders, 4th edition (DSM-IV). Antisocial and criminal behaviors play a major role in its definition and, in this sense, APD is similar to sociopathy. Some of those with APD are psychopaths, but many are not. The difference between psychopathy and antisocial personality disorder is that the former includes personality traits such as lack of empathy, grandiosity, and shallow emotion that are not necessary for a diagnosis of APD. APD is three or four times more common than psychopathy in the general population and in prisons. The prevalence of those we would describe as sociopathic is unknown but likely considerably higher than that of APD." Sociopaths do have some empathy and a sense of guilt - a conscience - but their empathy is reduced and selective, related to their upbringing and sub-cultural environment. A psychopath has no empathy or conscience at all. They can act and say all the right things, lie and manipulate without any inner conflict or emotions, immune to guilt, remorse and compassion. Most importantly what I was hinting at in my question to Marianne Williamson relates to the biological/genetic factors relating to psychopathy, as described in the work of the researchers I mentioned. It's not a psychological disposition based on trauma or childhood wounds but a genetic one. These individuals can't be "healed", comprise at least 6% of humanity and are often to be found in positions of power. This is hard for most people to accept and understandably so considering the cultural, religious and spiritual/new age programming and corruption that posits "we are all one". This also has nothing to do with "us vs. them" in the way some people like to argue, but about understanding how complex humanity actually is, what we choose to believe and wish for based on assumptions and what we avoid to look at and confront, within and without. A lot of psychopathological traits have become normalized in human societies. 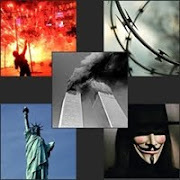 Billions of people have been fed psychopathic belief systems and world views as the "way of life" through media, government, religion, entertainment and education. Our culture puts a lot of emphasis on image, status and appearance. Psychopaths actually have personality traits that many common people aspire to. The untroubled self-confidence of the psychopath is very alluring and is generally what "normal" people seek to acquire when they attend assertiveness/motivational or "pick up/dating" training classes. Likeable, Charming, Intelligent, Alert, Impressive, Confidence-inspiring, and 'a great success with the ladies': These are the sorts of descriptions repeatedly used by Cleckley in his case-studies of psychopaths, The Mask of Sanity. The psychopath's Mask of Sanity is very important to understand. It gives him the cover to roam freely in our society, like a wolf in sheep's clothing. Realizing early on in life that he's different from the rest, the psychopath learns to mimic emotional states and expressions without feeling them himself one bit. Without any internal conflict of guilt, remorse or shame, the psychopath manipulates the people around him. He can tell you exactly what you want to hear, appear compassionate and the good ones have a very convincing mask that is hard to see through. It takes time and a lot of observation. Psychopaths can be very intelligent with a high IQs. They can write scholarly works, imitate the words of emotion, but over time, it becomes clear that their words do not match their actions. Crazy and frightening - and real, in about 4 percent of the population...."
The key point is what Dr. Stout said: Now add to this strange fantasy the ability to conceal from other people that your psychological makeup is radically different from theirs. Since everyone simply assumes that conscience is universal among human beings, hiding the fact that you are conscience-free is nearly effortless. Most people assume that every human being essentially has a conscience or can change and become compassionate and empathic. People tend to project positive qualities into some individuals which they don't inherently have. We assume that the people in power, our (s)elected leaders, have the same conscience and emotions as we all do. Some people say that everyone has issues and childhood wounds to work through on some level, even people in power, or as someone told me after Marianne Williamson's talk when the topic of Psychopathy came up: "We are all psychopathic to varying degrees.". Yes, sure, we all have "issues", but this is very different from having no conscience period. Not many people actually truly understand what we're talking about here, they've never really studied the topic, yet they have opinions on it and can even laugh out loud about it in public. It's the basic logical fallacy, putting ones logic (conclusion) before grammar (research). Coupled with cognitive dissonance, since the acceptance of the truth could potentially upset one's whole view of life and identified beliefs, the denial rate is still very high when it comes to this topic. So much emphasis is put on immediate solutions, a new "system" of government or "fixing" the system, focusing on the education system, environment or trying to bring ethics back to Washington, as M. Williamson stated. Solutions are presented, but the problem itself, the root, is not even understood in a basic way, not even considered. Many "conscious" people who identify themselves with the "left", liberal/progressive movement, politically or otherwise, seem to avoid looking at the nature of evil and understanding how societies are turned from something mutually beneficial and cooperative into virtual slave camps for the benefit of a few. "Good intentions" that are emotionally driven and based on wishful thinking do more harm than good, especially in the long run. Getting back to Marianne Williamson; after her misinterpretation of the term "Psychopath", she brought into focus the so-called sociopathic economic system, stressing that: "we don't want a system where anybody purports to say that somebody else is a psychopath and therefore does not belong in office... let me tell you something, people like Hitler talked that way... this cannot be about demonizing individuals... this is about holding systems accountable... we wanna be real careful of anything psychological - 'you are unfit for anything' - based on somebody's psychological appraisal. Evil has been perpetrated based on that... so the conversation is a valid conversation, absolutely... but in terms of individuals, you wanna stay away from that." There are several fallacies in Williamson's thinking here, chief among which is the fact that she engaged in a strawman argument, a common logical fallacy that politicians tend to use in order to distract or avoid answering questions directly. Strawman argument; here's a definition: "You misrepresented someone's argument to make it easier to attack. By exaggerating, misrepresenting, or just completely fabricating someone's argument, it's much easier to present your own position as being reasonable, but this kind of dishonesty serves to undermine honest rational debate." I asked Williamson if she was aware of the topic of psychopathy and the research that has come out over the past years, which proves that there is a type of human being who has no conscience by birth and who gravitates towards positions of power, which results in a ponerized society. The implications of psychopaths in high political office or as CEOs of big corporations and how they affect our society and world are self-evident and disturbing for anyone to see who understands this subject. Yet she immediately diverted away from my point and focused on the system. Clearly Williamson is not aware of the deeper issues of psychopathy, which isn't a problem per se, but in that case, she should have had the humility to say, "Well that's an interesting topic and I feel I'm triggered by the word "psychopath" but I'd be interested to learn more about it", or something along those lines. 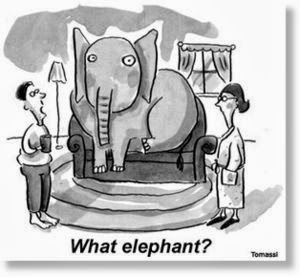 What is it with people, and especially politicians, to always have to have an answer and appear "knowledgeable" to the point of having 'opinions' about topics they do not understand and distort/misinterpret as a result, consciously or not? Well we know why, it's about image and authority, appearing confident, self-assured and strong to gain the confidence and trust of their voters and generate donations for their campaign... ironically, these are some of the traits psychopaths have perfected as well (no, I'm not implying that Williamson is a psychopath). With Williamson's background as a "spiritual teacher", you'd think she wouldn't fall into this manipulative political lingo with all the logical fallacies that usually go along with it. She mentioned that it's about holding systems accountable but not demonizing individuals. This really makes no sense, since systems are created, used and abused by individuals. Focusing on fixing the system is like blaming a car because of a drunk driver is causing accidents. The same old mistake of focusing on the symptoms instead of getting at the root, a result of trying to present solutions too soon without having sincerely explored what the "problem" is to begin with. The system cannot be fixed. It has been designed that way since the get-go, and we've been living under these political systems and governments for so long that we don't even question them anymore, but accept them like in a global Stockholm Syndrome, idealizing them and not seeing reality for what it is. We are so conditioned and programmed that we don't even question why we even need a "government" to begin with. Those that are given the opportunity to do so, seem to experience some kind of brain freeze that prevents them from really considering that question deeply. Most people are afraid of the "chaos" that they believe would ensure if there were no government or authority to 'lead' them, which is ultimately rooted in the fear of true freedom and taking responsibility. The reality is that governments and power in the hands of a few are the reason our 'modern' society is descending further and further into the chaos that so many fear. Many people ask, well what "solution" do you have then? Looking at the world as it IS is the first step before presenting any "solutions". As Krishnamurti said: "It's like trying to change the tapestry in a prison cell, believing this brings more freedom instead of breaking down the prison walls", or like cutting the branches of a tree, which will grow back eventually. The root needs to be tackled and the root issue is psychopaths in power. A careful study of this topic and our (true) history shows this to be true, with little doubt. "An Ideal is merely an escape, an avoidance of what is, a contradiction of what is. An ideal prevents direct action upon what is. To have peace, we will have to love, we will have to begin not to live an ideal life but to see things as they are and act upon them, transform them." Williamson also used the word "demonizing" which is not what I implied and actually a very bad word to use in this context that also distorts the issue at hand, especially with her poor example of "Hitler has done that". I found her lingo very manipulative, an attempt to get the audience on her side by distorting the main point. She basically misunderstood and twisted my main point, which would have been clear to her if she truly understood psychopathy and ponerology. Knowledge and Understanding of this topic can actually help us to prevent individuals like Hitler rising to power in the first place. And yes, some individuals are NOT fit to be in office or positions of power, where his/her decisions affect the life of millions, if not billions, of people. I think this should be fairly obvious. For example, anyone who wants to become a police officer has to pass a psychological screening. The psychological evaluation is part of the process of determining whether an applicant is suited for the position. Makes sense, no? We want to make sure that our police officers are mentally stable to be enforcers of the law. Of course, looking at the widespread incidence of police brutality these days, one must wonder what kind of test this is and what laws are they enforcing, so mere "psychological screening" is not enough. What is their psychological screening based on anyway? Again, if the topic of psychopathy is not fully understood and applied in such "screenings" we have psychopaths and Authoritarian Followers with guns in their hands, authorized to shoot and arrest people at will, and with increasing impunity. Now look at politics. Theoretically, anyone with enough money, the right connections, image and a certain mindset (playing the "game" with all the right "political correctness" to hand) can become president of this country. There is zero psychological evaluation to become commander-in-chief who has the power over the biggest military force in the world. Doesn't this strike you as being a bit odd? Gaining Knowledge, which leads to Understanding, needs to happen first, educating ourselves first before coming to conclusions and then acting on the understanding gained and presenting solutions. It's the basic application of the Trivium and critical thinking which I've written about before. Williamson also mentioned that "Evil has been perpetrated based on [somebody's psychological appraisal]". Yes, sure lots of evil is perpetrated through the corruption of science - including psychology - because of psychopaths in power. But again, she's got it all backwards because she starts from a misinterpretation of the actual issue due to her lack of knowledge, and comes to conclusions based on assumptions. First of all, what is "evil"? At least she seems to acknowledge that there is evil and doesn't fall into the abstract and pseudo-spiritual idea that there is "no evil" on our level of existence as so many people tend to do, based on Solipsism, a very illusory ideology in today's "New Age" movement. Solipsism is based on the idea that there is no objective truth, a topic I have explored in more depth before. Yes, there IS objective truth and objective reality. "Ponerology reveals itself to be a new branch of science born out of historical need and the most recent accomplishments of medicine and psychology. In light of objective naturalistic language, it studies the causal components and processes of the genesis of evil, regardless of the latter's social scope. We may attempt to analyze these ponerogenic processes which have given rise to human injustice, armed with proper knowledge, particularly in the area of psychopathology. Again and again, as the reader will discover, in such a study, we meet with the effects of pathological factors whose carriers are people characterized by some degree of various psychological deviations or defects." To truly understand the significance of his work, it's important to know the history of how this book came about because Lobaczewski went through a lot of suffering and sacrifice to get this material published. There have been many attempts to destroy his work. "The original manuscript of this book went into the furnace minutes before a secret police raid in Communist Poland. The second copy, painfully reassembled by scientists working under impossible conditions of violence and repression, was sent via courier to the Vatican. Its receipt was never acknowledged - the manuscript and all valuable data lost. This manuscript was met with suppression. In a particularly fascinating episode, Zbigniew Brzezinski, famed political scientist and former National Security Advisor under President Jimmy Carter, first offered to help get it published, but then, instead, worked to oppose its publication. Ultimately, Lobaczewski was unable to get the book published while he was in the United States. In 1990, he returned to Poland quite ill and rather destitute and only survived at all due to care provided by old friends who were doctors." He was finally able to publish his book with the help of a research group that has studied similar topics for many years. After half a century of suppression, this book has finally become available. And here we see another problem. Vital knowledge and research that could help humanity as a whole has been suppressed and even destroyed by pathological individuals in power throughout history. The information in this book is important for everyone to be aware of, so that we truly learn from history and understand the underlying root issue of why the world is as it is and why no true change is going to happen by trying to tackle the system and present solutions without scientific and objective knowledge of evil as a foundation to work from, from which the solutions will then emerge. It's part of our 'shadow work', to make the darkness conscious within AND without. The major theme of Lobaczewski's book is that if world civilization is to survive and thrive, it must learn how to deal with evil individuals who seek its destruction. It is essential that objective scientific studies continue to be pursued in order that humanity may come to recognize evil when they see it and learn how to combat it. That's the only way to re-install morality and ethics (as Williamson says her intention is). In fact, before we can talk about systems, this is where we need to start, and it requires much work and effort because the psychopaths in power are doing their best to suppress this knowledge. However, their Achilles heel is wishful thinking, believing themselves to be untouchable, even as they destroy themselves like a deadly virus that kills the host and essentially itself. Instead of advocating and citing "A Course in Miracles" as Williamson is doing, almost using this very questionable channeled material as her foundation, she'd be better advised to lay that "teaching" aside and deal with objective reality and the scientific study of psychopathy, because she's heading right into the center of the beast, or at least she's trying to get there. I have read and studied "A Course in Miracles" and did all the exercises many years ago when I wasn't very discerning. It took me a while until I saw the red flags and the mind control/self-hypnosis of this teaching (which ultimately promotes Solipsism) and how it put me more to sleep, all the while dreaming that I was awake. Even if there is some truth in it, the best way to swallow a lie is to sandwich it between some truth. It's the most efficient way to spread disinformation. There is also some interesting connection between the group who "channeled" this material and the CIA. And that ties into New Age Cointelpro. 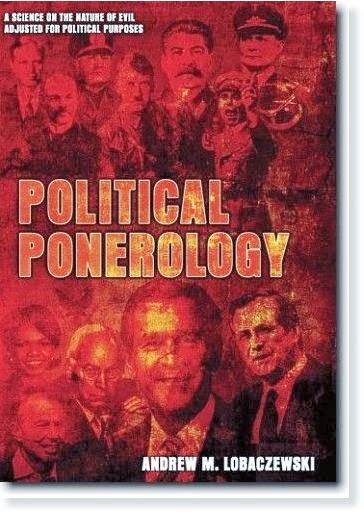 We won't see "Political Ponerology" or similar works being promoted on Oprah anytime soon. It's up to us to actively seek out this knowledge and educate ourselves and others about it. This topic is imperative to understand for anyone involved in any "conscious movements" or anyone who is trying to make this world a better place for ourselves and future generations. It doesn't matter what your work is and what medium of expression you choose, what party and religion you belong to and identify yourself with. Psychopathy and Ponerization affect all of us. Most importantly, don't judge something or present solutions if you haven't sincerely studied it first. Or, in the words of Andrew Lobaczewski: "Do not attempt to cure that which you do not understand." If Marianne Williamson was sincere when she said, "The conversation is a valid conversation, absolutely!" and earlier in her talk, "Until we deal with the cancer that underlies all these problems, until we deal with the underlying issue of all these problems, we will not be able to handle the derivative problems," then I hope she'll engage in some reading, as well as those who support her. The cancer eating away at humanity's body is Psychopathy and the ponerization of human society. But this is not about Williamson personally. She has good intentions, I suppose. This is about all of us coming to terms with and understanding a very serious and troubling issue our planet is facing, so we can have an intelligent conversation that is based on objective reality. The truth is the truth (not "my" or "your" truth), and no one said it would be easy or comfortable. The longer we avoid it, the harder it'll get and the deeper we'll dig our own graves. Sorry to sound bleak, but disillusionment is part of the process. The universe is very impersonal when it comes to Truth. Either we align ourselves with it, or we will perish. "Hope and fear: Fear is an enemy. We know this because when we are afraid, we react irrationally to things, we don't think through. Hope is an enemy, too, though. That sounds kind of wrong, doesn't it? Everyone likes to have hope: Don't give up hope. But, here's the problem with hope: Hope also deludes. We need to have a cold eye. We have to be able to look at reality in as alert and awake a fashion as we can. What is true higher consciousness? Well, it starts with awareness, with seeing things as they are, not as you want them to be, not as you hope they can be - you have to see them as they are. It is only through going over that first large hurdle, I feel, that we can really attain a true higher consciousness, a true awareness in which we are awake, not asleep." > with all the logical fallacies that usually go along with it. Modern "spiritual teachers" have become well-known as a group for their mastery of manipulative lingo.